This banana pineapple smoothie bowl is just as delicious as it looks. 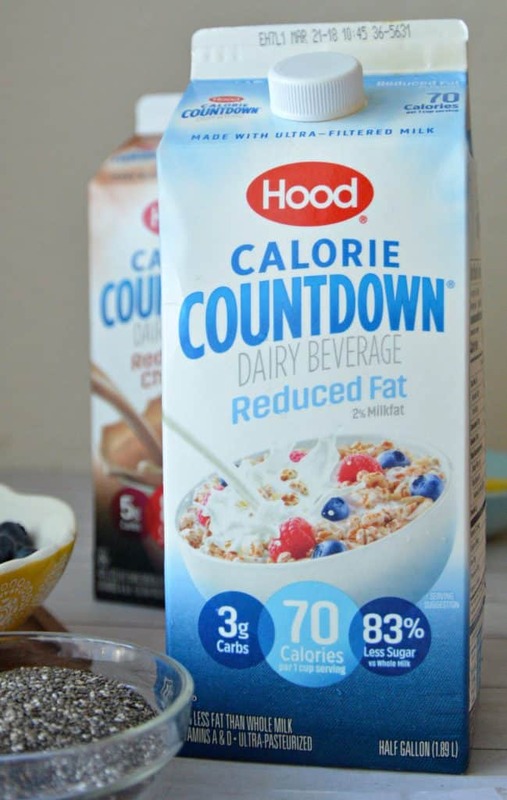 With a little help from Hood Calorie Countdown, it’s made with fewer calories, less sugar, and fewer carbohydrates than it would using regular whole milk like I normally do in my smoothies. I like to start my days with a delicious breakfast, but there’s no way I can spare the time to make anything more than toast. On days where I do have the time to put together a smoothie, it’s never really feels like a complete meal. More recently I decided to give the trendy smoothie bowls a try (better late than never, right?) and I’m so glad I did because it’s got all the elements of what a breakfast should be without extra unwanted calories because I swapped out my regular milk for the creamy and delicious Hood Calorie Countdown Whole (it has 33% fewer calories and carbs than traditional whole milk). I’ve been playing around with toppings and I have added cereal, granola, and even chocolate chips, but so far chia seeds remains to be a favorite way to add a nice crunch. 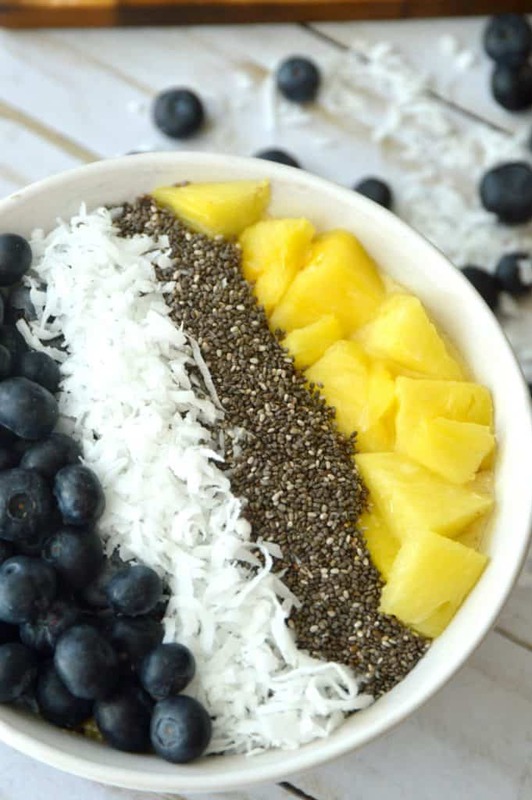 The banana pineapple smoothie bowl is always my go-to, with added blueberries, coconut, and chia seeds for some crunchy (and aesthetically pleasing) texture. 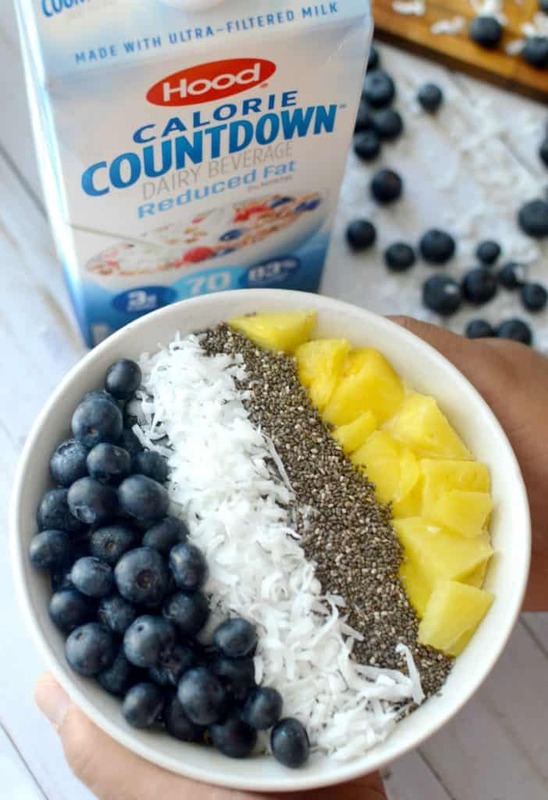 Hood Calorie Countdown along with all the ingredients for this smoothie bowl is available at Walmart in the dairy section. It’s perfect to have on hand for this smoothie bowl or a bowl of cereal. 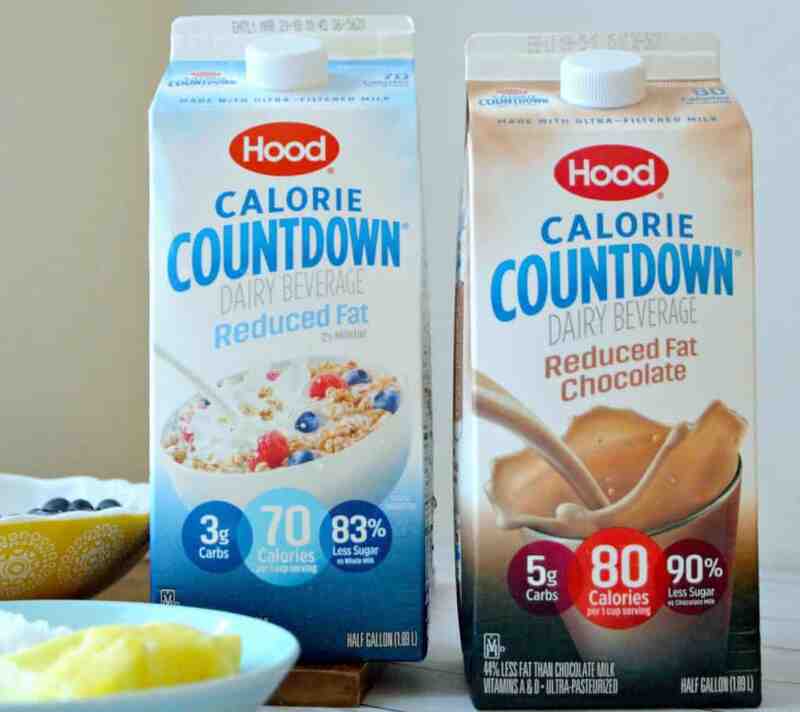 I also grab Hood Calorie Countdown’s Reduced Fat Chocolate Dairy beverage too, because everyone loves a yummy glass of chocolate milk without the guilt (it has 56% fewer calories than traditional chocolate milk)! A dash of cinnamon **Can also be sprinkled over your smoothies bowl. 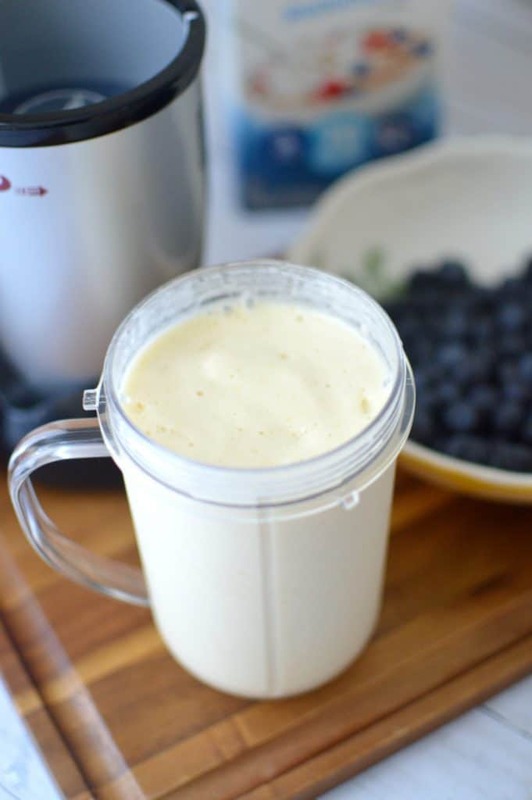 Combine smoothie ingredients in a blender and puree until smooth. The mixture will be very thick and might need extra milk to blend thoroughly. Pour the mixture into a bowl and add your toppings. Have you tried a smoothie bowl? If so, what are your favorite toppings? For more yummy recipes using Hood Calorie Countdown like this click here. Want to give Hood Calorie Countdown a try? You’re in luck because I’ve got a coupon! Click here to get your coupon and give Hood Calorie Countdown a try! You can also social and follow them on Twitter and Instagram , like them on Facebook or pin along with them on Pinterest! 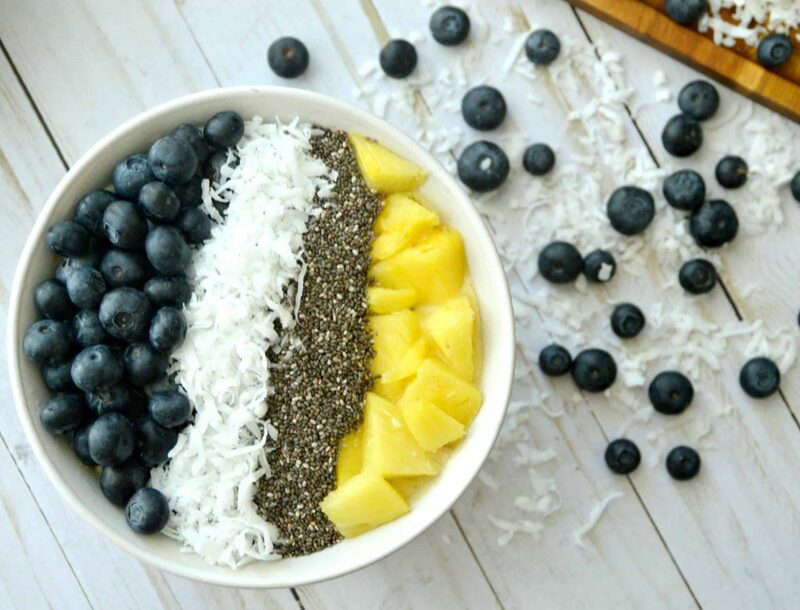 I’ve never done a smoothie bowl, but this looks Yummy! This looks delicious AND healthy! Might have to give it a try!